A 24 year old woman in need of a kidney transplant. Please help raise funds and save her life. Here's a copy of the letter that is circulating the net. This is a request for your financial support for my sister, Akudo Chioma Constance Arihi- Enyinnnaya to obtain a Kidney Transplant. On the 10th of November 2011, Akudo’s legs were noticed to be swelling. She was immediately taken to the Lagos University Teaching Hospital (LUTH), Nigeria. After a month of tests she was diagnosed with severe kidney failure with a kidney function of 2%. The decision was made for her to have a kidney transplant but in the mean time to start on dialysis to maintain her output of body waste. Unfortunately her body was not tolerating the dialysis well. She would have severe seizures during dialysis and eventually fell into a 3-day Coma. With the challenge she was having with the dialysis, it became imperative that the transplant had to be done immediately. As a result of the poor state of the Nigerian Healthcare services, the decision was made to have the transplant done in India (Metro Heart Institute, Faridabad). Before the transplant can be done, however, the full payment of 5 Million Naira ($31 thousand) is required by the hospital. My family has been working hard to gather the funds but have been unable to. We have put together several fundraising efforts and have been able to raise close to 1 million naira (about $7 thousand). 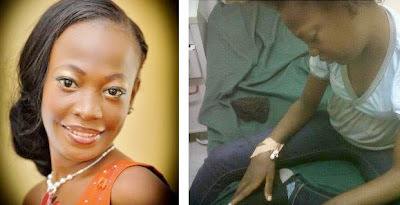 However, the funds have been spent in her ongoing treatment at LUTH. Time is of the essence because as each day passes, Akudo’s health continues to deteriorate. As a result of the excess fluid retention in her body, her situation has been compounded by breathing difficulty. She is unable to breathe on her own and is now on a ventilator. We have tried numerous organizations but none has been able to assist us. This is what prompted us to reaching out to you to help my family save Akudo’s life. Akudo has the sickle Cell condition and has faced medical challenges all her life but with her strength and determination, she has survived and had a relatively normal life thus far. She has a bright future ahead of her and we are seeking your help to ensure that her struggle and that of my family does not go in vain. Anything you can do to help us will go a long way in the efforts to save Akudo’s life. We are counting on you, please assist us!